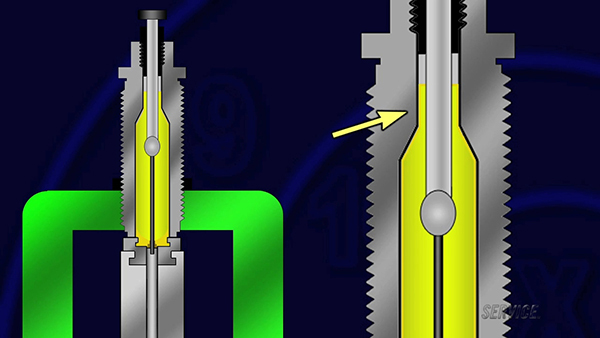 This article is part of Sinclair Int’l Step-By-Step Reloading Series. Most of the products mentioned in this article are sold through Brownells.com. There are three types of sizing dies to think about: neck, full-length, and small base. All three have specific benefits and potential drawbacks, and you should choose the type of die you use by thinking very carefully about what kind of shooting you plan to do with your handloads. No matter which type you select, most sizing dies will also punch out the old spent primer with some sort of decapper assembly that uses a hardened steel rod. Many types of sizing dies use an expander ball inside the die to make sure the neck of the case will accommodate a bullet after being sized. With some size dies, the expanders are easily removable and interchangeable, letting you get exactly the neck tension you want. 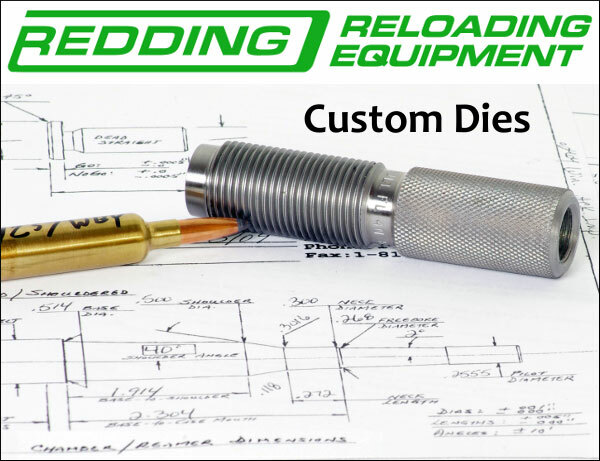 If you are reloading for pistol cartridges, carbide sizing dies allow you to quickly resize without applying any lube to the case. But rifle cases always need lube. Neck-sizing dies resize only the neck of the case. The benefit of sizing only the neck is that the brass is “worked” very little, letting you reuse the same cases many times over. Also, cases that have already been fired in your rifle are perfectly fireformed to fit that rifle’s chamber, which can help accuracy. However, neck-sized cases will fit only the specific rifle they were originally fired in, and may still require a little extra force to chamber or extract. Sinclair recommends that neck-sized-only cartridges should not be used any in other rifle besides the one they were originally fired from [unless they are also FL-sized], or in any action other than a bolt-action. Neck-sized-only rounds are great for the target range or the benchrest but should not be used in critical situations like military or police operations, or hunting. And if you fire them enough times, neck-sized cases will still need to be full-length sized periodically for you to keep using them. Full-length sizing dies do exactly what their name says: resize the full length of the case, not just the neck. Full-length sizing helps create handloads that will function in any rifle, not just the one from which the cases were originally fired. The potential downside of full-length sizing is that it may shorten case life because it works the brass more than neck sizing. But it’s possible to “tune” today’s full-length sizing dies so they barely work the brass at all, as this article by Sinclair Reloading Tech Ron Dague shows. 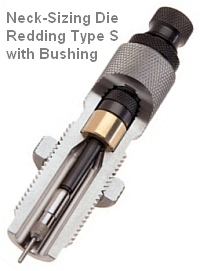 Another way to reap the benefits of full-length sizing is to use Redding’s full-length bushing dies, which size the full length of the case but use a system of interchangeable bushings that enable you give the case neck the bare minimum of resizing needed. 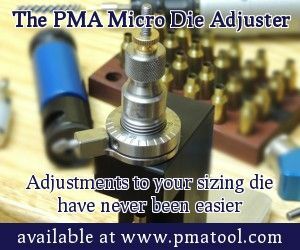 To see how finely adjustable bushing dies are, and how they resize the case while fully supported, CLICK HERE for Video. The neck bushing helps you precisely control the neck tension to help increase the consistency and accuracy of your handloads. A Small Base Die is just another type of full-length sizing die, but one that is typically used when reloading for semi-automatic rifles, like the AR-15, M14, or AR-style .308 rifles. (It may also work well for bolt guns that need extra sizing on the lower section of the case.) A small base die works exactly like a full-length sizing die, only it compresses the brass just a bit more, usually about .001″ more, and may even push the case shoulder back just a hair. Small base dies give that extra bit of compression to the brass to help make sure the case will properly extract from a semi-automatic firearm. The upside is that you get precision handloads that should work flawlessly in your semi-automatic. The downside is case life is really shortened, especially compared to brass used only in one bolt-action rifle, because the brass is worked more. 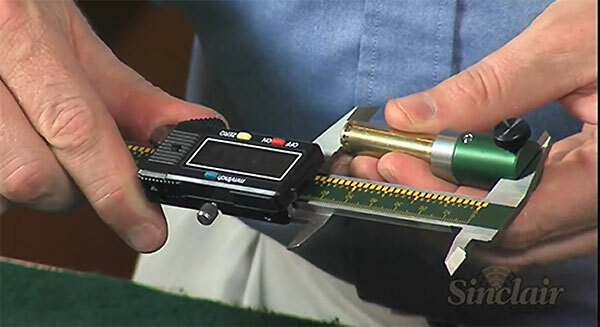 A handy tool for setting up your full-length sizing dies as close as possible to your rifle’s chamber is the Sinclair bump gauge. The bump gauge lets you resize the case as little as possible, to extend case life and help your handloads fit your rifle almost like a neck-sized only die. You use deprimed cases fired in your rifle and bump gauge inserts to help you set up the die so it resizes the case only about .001″ to .004″, depending on what type of rifle you’re shooting. 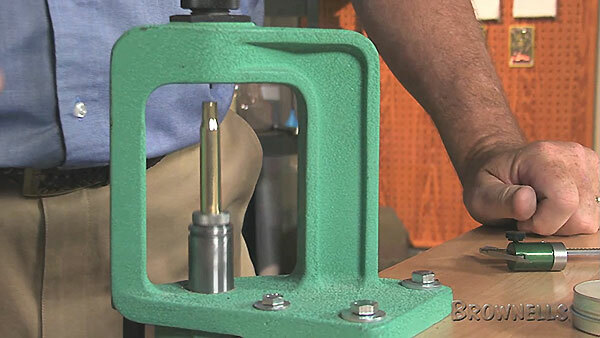 Share the post "DIE BASICS: Full-Length Dies, Neck-Sizing Dies, Small Base Dies"
In this video, gunsmith Alex Wheeler explains how to ensure that your full-length sizing dies fit your brass properly. With many cartridge types, it’s not unusual for factory dies to be slightly large in the bottom section. 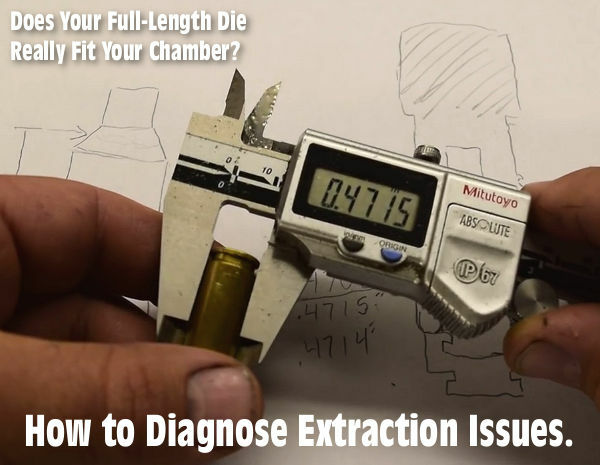 When the diameter of a FL-sizing die is too large near the base, this can leave the bottom section of fired cases “unsized”, with the result that you can have extraction issues and stiff bolt lift, or what Alex calls “clickers”. At the same time, it’s not unusual for dies to over-size fired cases at the shoulder (i.e. 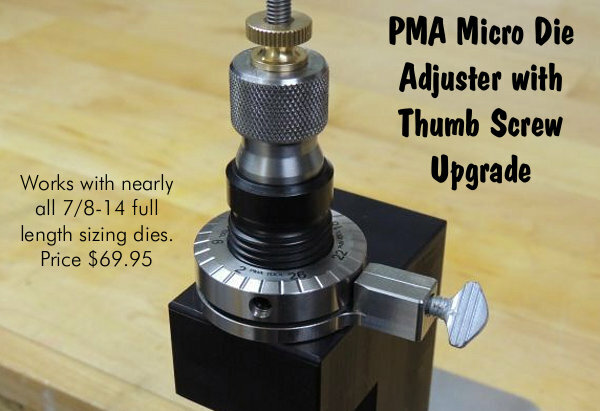 reduce the shoulder diameter by .004″ or more). We strongly recommend that all hand-loaders watch this video, particularly if you load cases 6+ times with relatively high-pressure loads. 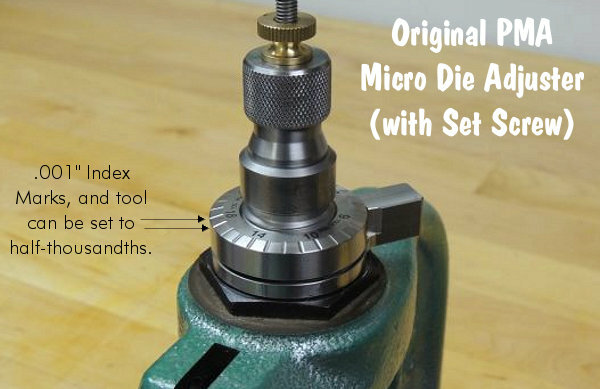 Alex explains that a key dimension is the diameter of a fired case 0.200″ above the case head. If your die does not size your fired cases at this point, you should get a FL die that does. This could be a custom die ground to fit your chamber, or it could be a “small-base” die specifically designed to “hit” the bottom section of the case. Alex also notes that some FL dies have an inside chamfer at the mouth of the die, right at the very bottom. (See video at 3:55). This can leave the section of the case right above the extractor groove unsized, which can also lead to “clickers” and stiff bolt lift. If you are having stiff bolt lift or extraction issues, Alex explains that you can “paint” your brass with magic marker (or dye-chem), and then place the case in your chamber. On the “hot spots” where the case contacts the chamber wall, the marking will rub off, allowing the brass metal to shine through in the problem area(s). This will illustrate where you need better sizing from your die. Did you find this video helpful? View more informative Tech Tip Videos on WheelerAccuracy.com. 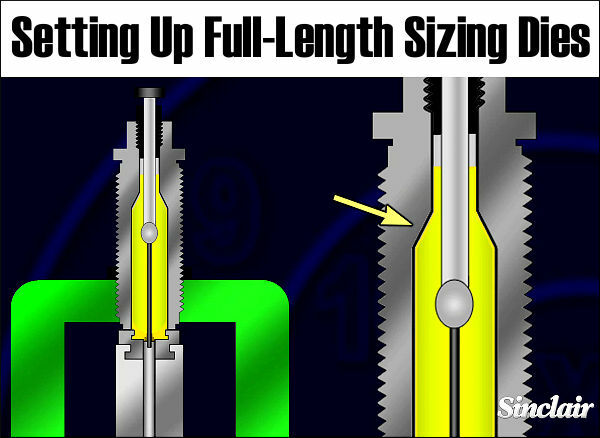 Share the post "Full-Length Sizing Die Fit — Diagnosing Stiff Bolt Lift Problems"